Our philosophy here on the Muses Estate is to make wines that are in perfect harmony with the ecosystem. Our aim is to maintain the balance, the complexity and love that are required in order to release the senses. 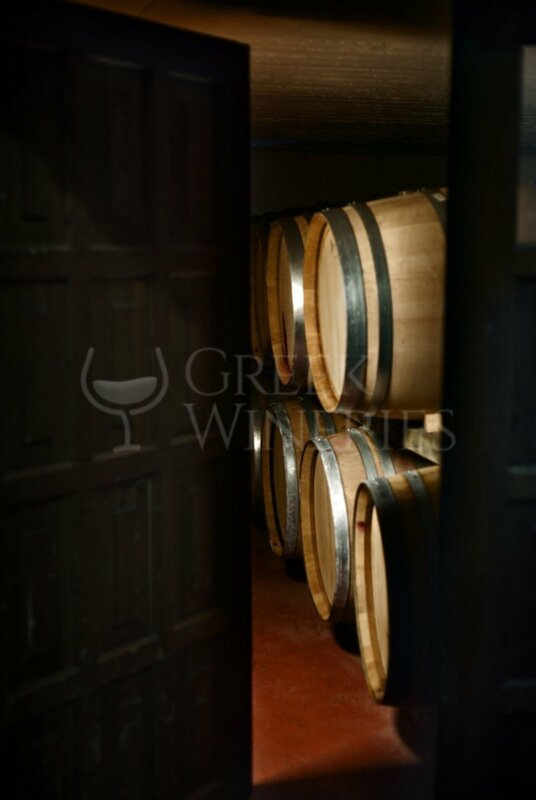 Our vision is to produce wines that are representative of the Valley of Muses as well as the family itself. In ancient times, the idyllic scenery of the valley was home of the 9 Muses, daughters of Zeus, and of Hesiod, one of the greatest poets of ancient Greece, who was born and wrote his works in ancient Askra, a city “rich in grapes” as it was called at that time, the modern Askri. This is the place where the vineyards of the Muses Estate lie. The sheltered environment of the valley attracted and supported large populations since the very early times. The waters of the river, the numerous water springs found along both sides of its banks and the fertile soils of the valley have always provided abundance to its people, who, having secured a comfortable life, they were able to create a great civilization. During this time, of all the crops that this land raised, the most important has always been the grape, the fruit of the vine. In the beginning, in the valley lived the Pelasgians, the first inhabitants of ancient Greece. After some point they have been replaced by the Thracians, who came from the north and brought with them the cult of the Muses from the area of Mount Olympus. According to Plato, music was born together with the Muses. Their sanctuary was located on the eastern slope of Mount Helicon, near Askra. It was there that, around 700 BC the nine muses appeared before a young shepherd to offer him the inspiration that would make him one of the greatest poets of ancient times. This was Hesiod, founder of the Greek mythology, and a rich source of knowledge in subjects such as agriculture, astronomy and economy –he is considered by many as the first economist of Europe. In his poems, vivlinos wine is attested for the first time. It was a wine made from a variety called vivlini, grown in the area of Askra. Ever since then, vine is the main crop in the area and wine a basic component of the local culture. On the slopes of Mount Helicon, grapevines find the perfect soil to grow, while the cold currents of air coming down from the mountain create the right mesoclimate for the production of wines with character and typicality. 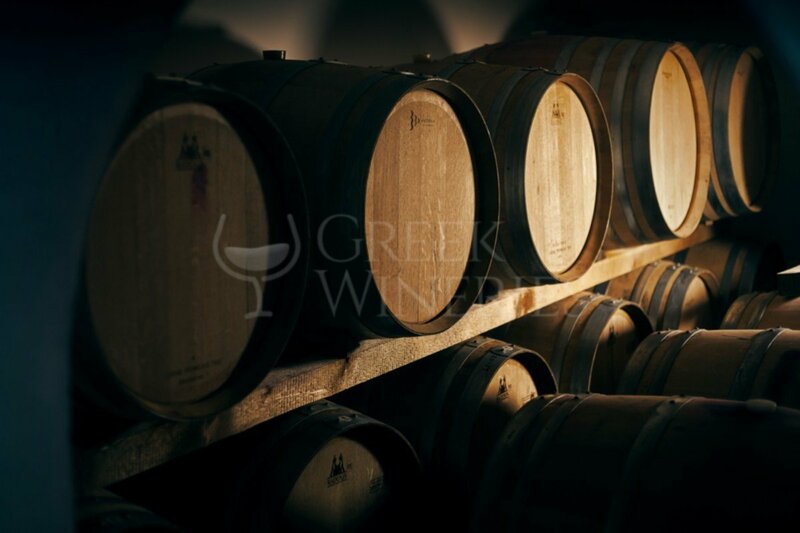 History His deep love for wine and the millennia-old winemaking tradition of his homeland led Nikolaos Zaharias to found a small winemaking facility in 1946 and fulfill his life-long dream. 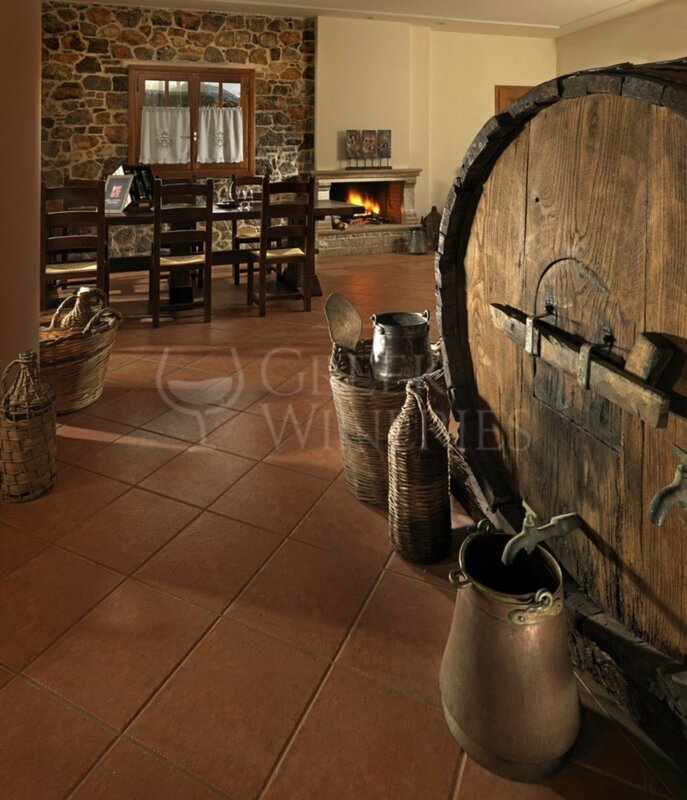 Here, in Askri, in Central Greece, wine has always been an essential component of the local economy and an intrinsic part of the people’s culture. At that time, in a village of about 600 inhabitants, 7 winemaking units were in operation. In 1967, his son, Athanasios Zaharias, entered the family business and gave it a new impulse by implementing dynamic and forward-looking ideas. With his contribution, the small artisanal winery was gradually transformed into a modern winemaking unit. New vines were planted, in 1973 a new wine press was purchased, and in 1987, during a thorough renovation, the first bottling machine was added to the equipment. 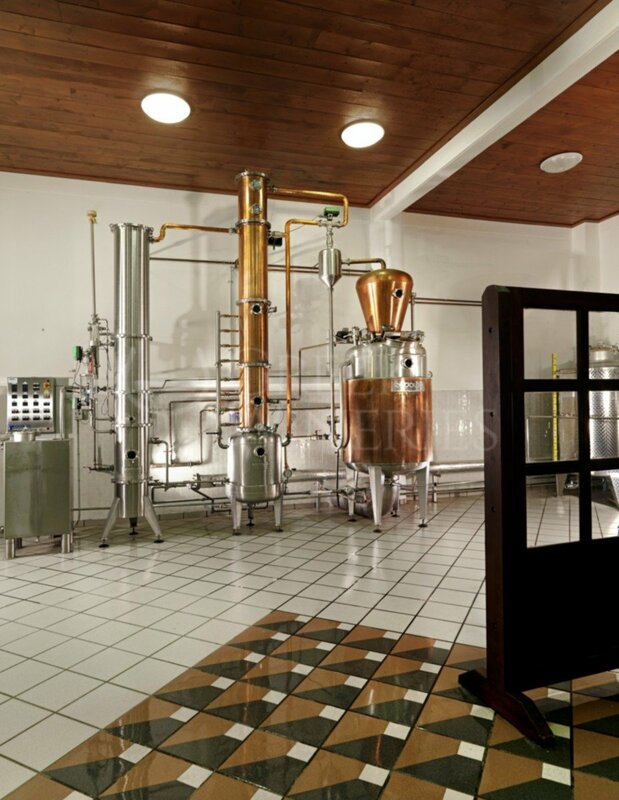 In 2005, the year when “Muses Estate” was created, it was time for Nikos, Stelios and Panayiotis, the third generation, to take their place in the family business. Their skills, scientific knowledge and youthful ideas combined with the family tradition and experience helped Muses Estate to make a step further into the 21st century. 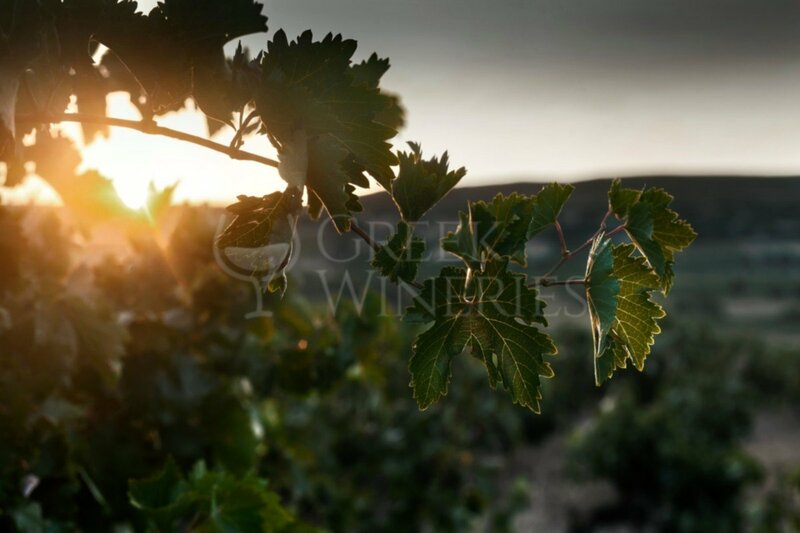 Philosophy Our vineyards lie on the slopes of the Valley of the Muses, at the foot of Mount Helicon, and are part of the greater vineyard of Boeotia. Here, winemaking has a millennia-old history and wine is intimately connected with the local culture. Being part of this history, our family and Muses Estate count in total more than half a century of experience in vine growing and winemaking. During all this time, we have been motivated by our love for wine and our belief in certain basic principles, transferred from one generation to another. The climate and the soil of the Valley of the Muses form a unique environment for vine growing. In Muses Estate, through our work in the vineyard and in the winery, we want to offer to the consumer a taste of this idyllic place. In other words, our aim is to close, in every bottle of our wines, the sun that ripens our grapes and the refreshing wind that helps them retain their acidity. To make what the French call terroir wines, and what we call wines with character and typicity. Focus on Greek varieties. In order to achieve this, we have focused on grape varieties that have been adapted throughout the course of the centuries in the climate of our country and more specifically in the climate of the Valley of the Muses. Beside the international quality varietals, such as Chardonnay, Cabernet Sauvignon, Merlot and Syrah, we grow the high-profile Assyrtiko, the aromatic Malagousia, the underrated Savatiano and, of course, the rare Mouhtaro, which grows only in our valley and in the Muses Estate vineyards. Quality in the vineyard and in the winery. Our wines are made from grapes grown according to the principles of integrated viticulture. They are carefully picked from the vineyards of the Muses Estate and from selected contracted vineyards of the area. The idea is that you can make a bad wine from good grapes but you can never make a good wine from bad grapes. Therefore, after a strict selection in the vineyard, we choose only the best grapes in order to make our wines with the use of the modern equipment of our winery and according to the ISO 22000 and HACCP quality standards.